The second annual LIGHT Forum (Leaders in Global Healthcare and Technology) took place at Stanford University on May 8-9, 2018, convening a broad cross-section of 200 of the most influential decision-makers in healthcare – high-ranking executives, policymakers, and experts from leading medical research institutions – to discuss the current state of healthcare and how the industry is rapidly being reshaped by technologies like artificial intelligence (AI) and machine learning. Science is beginning to deliver long-hoped-for curative therapies, to nervous applause. Gene therapy is becoming a reality with the 2017 approval of three treatments in the U.S. for cancer and rare disease, many more products in the pipeline, revolutionary advances in cell-based therapy and gene editing, and investment accelerating at a rapid clip. These innovations, however, are making their debut just as pressures to constrain health care costs overall are intensifying. And our system is not set up to pay for cures, as providers that cover upfront costs are not often in a position to reap long-term cost savings. What innovative financing mechanisms would ensure that patients benefit from these exciting advances? How can technology and data enable more value-based care? The Commercialization Workshop, presented in collaboration with the Alliance for Regenerative Medicine, focuses on the pathways to the commercialization of gene and cell therapy products and the unique challenges emerging technologies pose in creating acceptable business models. The Commercialization Workshop was a full-day event. Trusheim participated in the session Real World Market Access, in which Industry, payer, and coalition leaders discussed lessons learned from the real world launch of recent gene and cell therapies. • With the advent of this new frontier in innovation, will we see costs continue to rise inexorably, with no end in sight, or will innovation across the system ultimately succeed in maintaining a lid in costs? • Do we risk creating a chasm between those who can afford the era of personalized medicine and those who cannot? • What are the viable alternative pricing and financing models to ensure the full potential of these new treatments are realized and their affordability and access is assured? • How do you value potential cures? 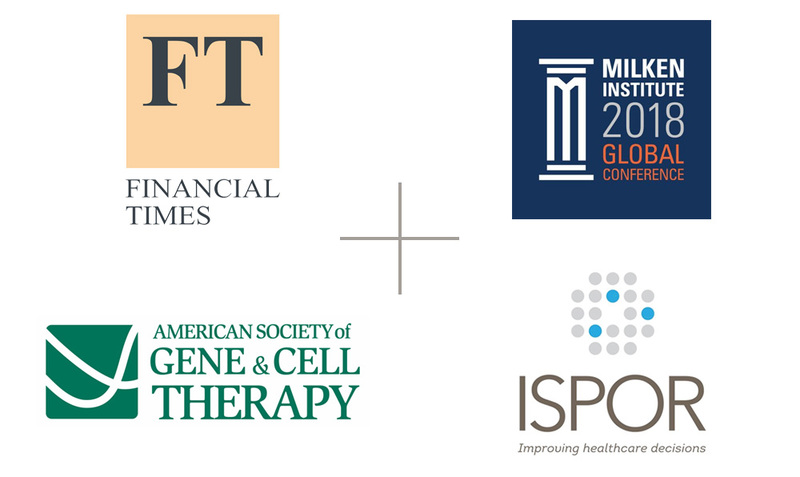 Dr Jane Barlow, Research Affiliate, MIT Center for Biomedical Innovation: NEWDIGS; Financing and Reimbursement of Cures in the US (FoCUS) Project; CEO, Jane Barlow & Associates, presented recent FoCUS research at the 2018 global meeting of ISPOR (International Society for Pharmacoeconomics and Outcomes Research). NPR: "A Search For New Ways To Pay For Drugs That Cost A Mint"